Many Treyone kitchens, whatever their particular style, feature painted finishes. Our painted finishes are highly durable and applied using a spraying system in our spray booth. We can paint items any colour to industry standards: BS, RAL or NCS, or from a manufacturer’s own chart. Our preferred sheen level is 20% matt but we can offer alternatives. For a flat, uniform finish we construct our doors from a mix of materials including MDF (moisture resistant and exterior grades) and maple. We can also produce a painted finish on ash if you prefer to see the wood grain texture through the paint. 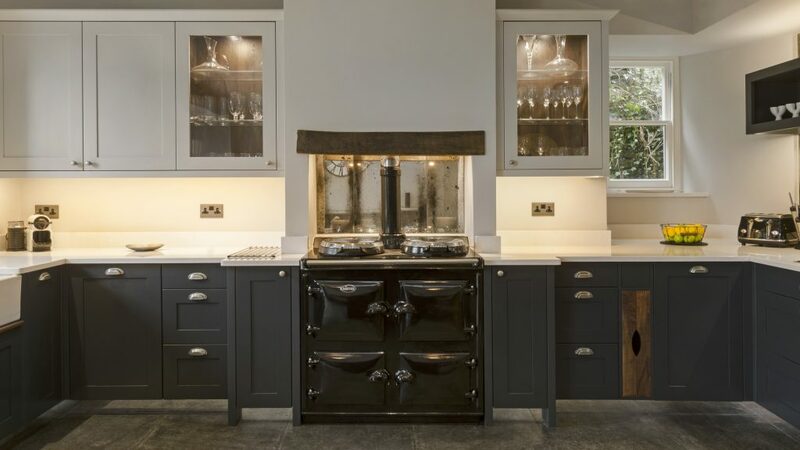 If you’re looking for a hand-painted finish we supply primed cabinetry for painting on-site following installation.